Classic details make this space. Items that grow with your littles are always a good investment. 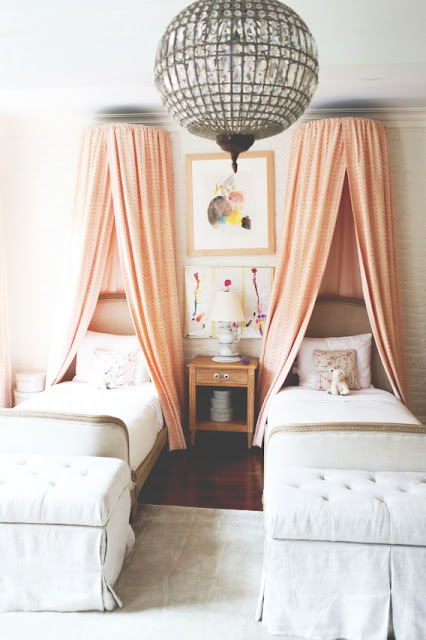 I love the use of the light fixture paired with the fabric canopy. They strike such a good balance.